Please select your country code by the flag dropdown. By clicking ‘SUBMIT,’ I consent to The Four Winds Society contacting me by email at the address provided and/or by telephone at the number provided. Launch a meaningful holistic healing career doing what you love! What makes the Shamanic Energy Medicine training program so unique? Now you can become an Energy Medicine Practitioner and Health Coach anytime, anywhere – you only need your laptop or tablet! Receive your training as an Energy Medicine Practitioner and Health Coach live, on-site, at our amazing campuses. Expand your knowledge, increase your skills and deepen your personal medicine. What is an Energy Medicine Practitioner and Health Coach? Discover how you can be a true agent of transformation and create extraordinary health. Why Become an Energy Medicine Practitioner and Health Coach? Start a meaningful career that addresses the causes - not just the symptoms, and allows you to create life-long health. Find out how our graduates are living and thriving! Why Become an Energy Medicine Health Coach? Your one-stop shop for audio and video resources, articles and our newsletter archives. Browse through our directory of practitioners, all graduates of the Light Body School and active energy healers. A great way to grow your energy medicine practice! All Light Body School graduates are eligible to register. Experience shamanic energy medicine healing sessions with our associate faculty, all trained by Dr. Alberto Villoldo. A wealth of scientific articles on diet, nutrition, the brain, and energy medicine are just clicks away! View our full calendar listing of upcoming courses. Find out where we’ll be next and come join us! Learn about our mission, our history and our people. Our founder's journey from a lab in San Francisco to the land of the Earth Keepers. Get the answer to all those what, who, when, why. Shop books, tools and other items for your practice. Find a supplement distributor outside the United States of America. Find all the supplements recommended for our program. This interview is part of the Shamanism Global Summit, a free online event featuring leading teachers and healers sharing integrated time-honored wisdom with contemporary psychology and spiritual systems. For more information, please visit http://shamanismsummit.com/. This recording is a copyright of The Shift Network. All rights reserved. This interview is part of the Winter of Wellness Summit, a free online event where you can learn from some of the most potent health pioneers, coaches and experts about life-changing practices for your mind, body and soul. 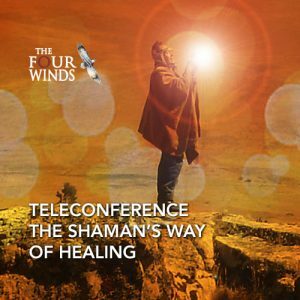 Alberto Villoldo and guests discuss “The Shaman’s Way of Healing”, the ancient healing wisdom of the Andean shamans and its effect on the luminous energy field that surrounds and informs our physical bodies. This interview explores how gratitude is fundamental to happiness and health. We’re taught that when we’re sick, we take medicine. Here, Alberto Villoldo shares how practicing immense gratitude can make diseases go away. 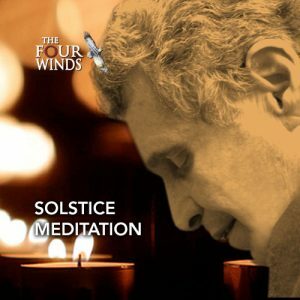 In this meditation, Alberto Villoldo invites us to share light, love and peace in unity with all beings and the earth. 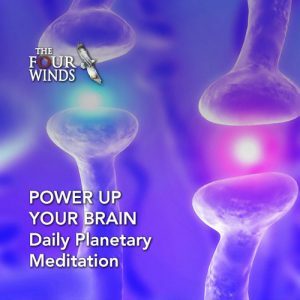 Take time to be consciously aware as you tune in with others around the planet who are meditating at the same time. 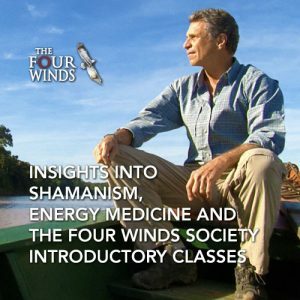 Alberto Villoldo and guests share insights into shamanism, energy medicine and the Four Winds Society introductory classes. 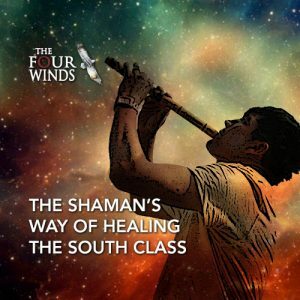 Hear Alberto Villoldo and Four Winds Instructors share about the Light Body School, the introductory South Class and how they change peoples lives. Start a career where you do what you love. The online course begins July 3. Thank Your For your Interest! Please expect and email confirmation of this request. Alberto traded his laboratory for a pair of hiking boots and a ticket to the Amazon—determined to learn from researchers whose vision had not been confined to the lens of a microscope, from people whose body of knowledge encompassed more than the measurable, material world that he had been taught was the ONLY reality. He wanted to meet the people who sensed the spaces between things and perceived the luminous strands that animate all life. Scattered throughout the remands and Amazon were a number of sages or “Earth Keepers” who remembered the ancient ways. Alberto traveled through countless villages and hamlets and met with scores of medicine men and women. The lack of a written body of knowledge meant that every village had brought its own flavor and style to the healing practices that still survived. For more than 10 years, Alberto trained with the jungle medicine people. In healing his own soul wounds, Alberto walked the path of the wounded healer and learned to transform old pain, grief, anger and shame to sources of strength and compassion. From the Amazon, Alberto trekked the coast of Peru, from Nazca, the site of gigantic markings on the desert floor that depict power animals and geometric figures, to the fabled Shimbe lagoons in the North, home to the country’s most renowned shamans. Then, in Lake Titicaca – the Sea on Top of the World – Alberto collected the stories and healing practices of the people from which, the legends say, the Inka were born. 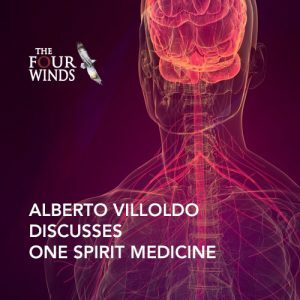 Through it all, Alberto discovered a set of technologies that transform the body, heal the soul, and can change the way we live and the way we die. These ancient teachings explain that a Luminous Energy Field (LEF) surrounds us and acts as a matrix or blueprint that maintains the health and vibrancy of the physical body. 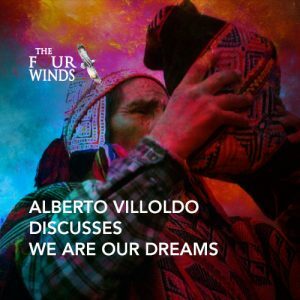 Alberto is founder of the world-renowned Four Winds Society and of the Light Body School. In his teachings and writings, he shares the experience of infinity and it’s ability to heal and transform us, to free us from the temporal chains that keep us fettered to illness, old age and disease.